For over 20 years, the Birmingham and District General Practitioner Emergency Room group (Badger) has been delivering high quality, out-of-hours primary healthcare to local patients. Set up one of the first third-sector Cavendish Courses for healthcare support workers, entirely without funding from the NHS or elsewhere; offering of interest-free loans to workers to enable them to undertake prescribing and other courses leading to widely recognised qualifications; providing supervision for workers undertaking external qualifications; flexible approach to proposals from workers for support. 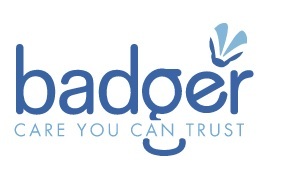 Badger is a primary healthcare service, providing out of hours and urgent care. As such we do not have a long-term relationship with our service users but assist them with an immediate problem. Typically a caller rings direct, or is referred to us by NHS 111; their problem is assessed by phone by a clinician and they receive self-management advice, a prescription or are referred to one of our primary care centres or another NHS service. If attending one of our centres they will be received by a receptionist, met and checked by a healthcare support worker and have a consultation with a qualified and experienced clinician (usually a GP or advanced nurse practitioner) before being treated, referred or discharged home. Patients are given information including written information on how the service works, what to expect and what to expect after they have seen us as well as what to do if problems persist or worsen. We carry out on-the-spot as well as postal user feedback surveys. Senior management staff work often work beyond contracted hours in the interests of the organisation.